Hi guys, bit of a techy post today! As the beginning of school is nearing, I’m all into the stationery buying! But this can get a liiiiiittle expensive sometimes. £25 for a ring binder? No thanks. So here is a way to accessorise your binders or notebooks, simple! 2. Find a background you would like to use for your label. 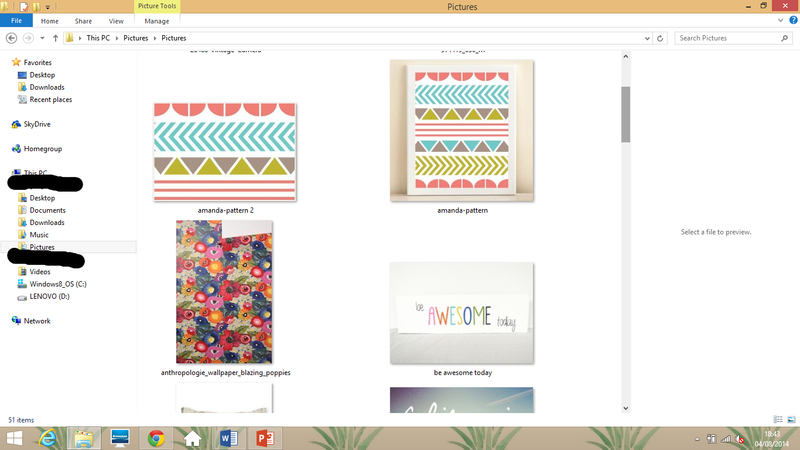 You can use Google Images to find cool patterns! 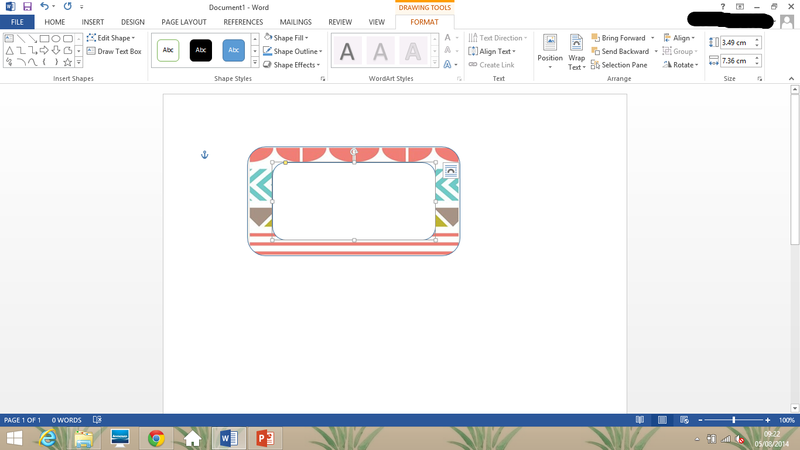 Try something like ‘tribal pattern’ and save it to your computer. 3. 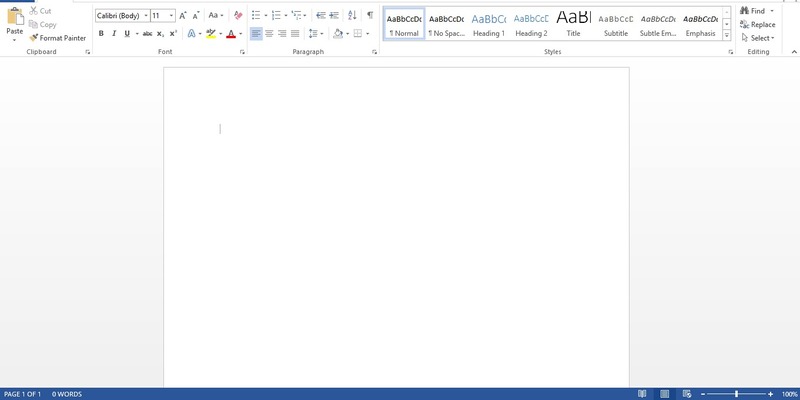 Go back onto Word and insert a shape from the ‘INSERT’ bar. 5. Choose your preferred background from your computer files. 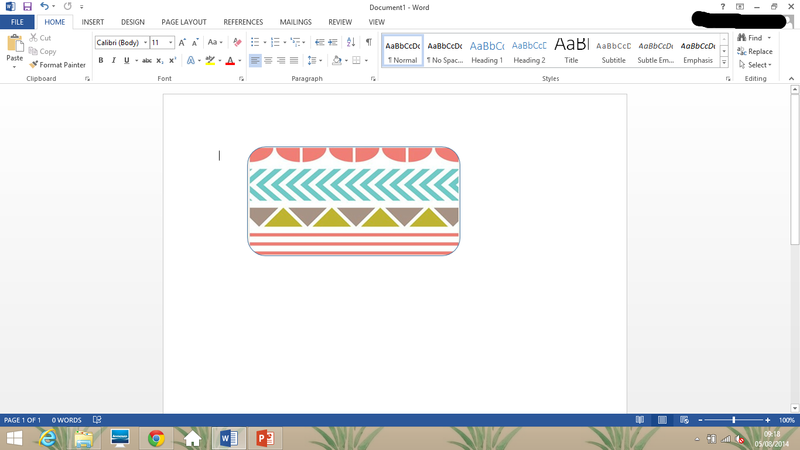 Double click and your shape should now have a funky background! 6. Next insert another shape into your current shape and play around with the size to find what fits best. Make the ‘Shape Fill’ white. 7. 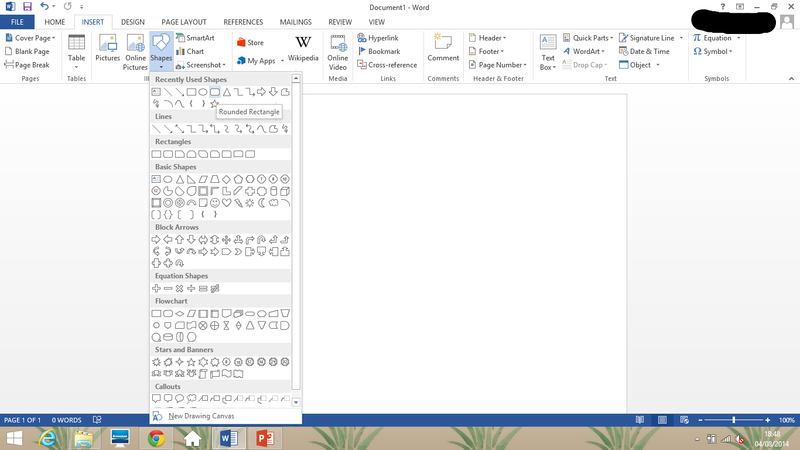 You can either type into the white shape or insert a text box into the white shape. I prefer inserting a text box because you have more options on where you want to place the text. 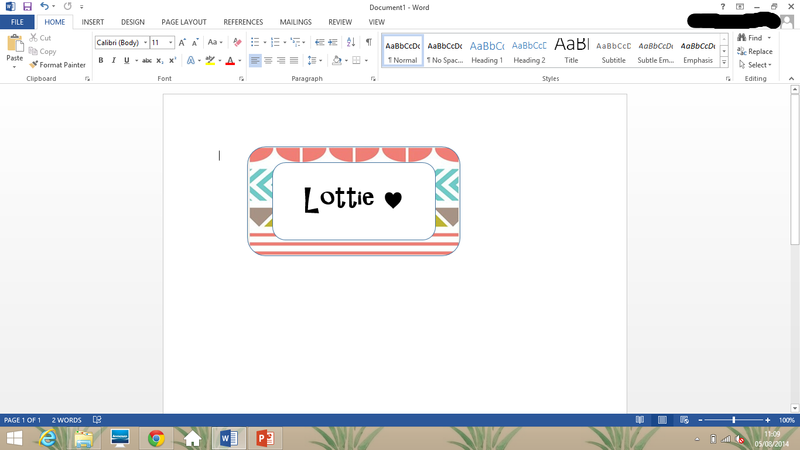 The font I used was ‘AR CHRISTY’ and to do the ♥ you press ‘Alt’ and ‘3’ on your keyboard. But you have to use the numbers that look like a keypad rather than the numbers above the letters otherwise it doesn’t work (well, it didn’t for me anyway!) 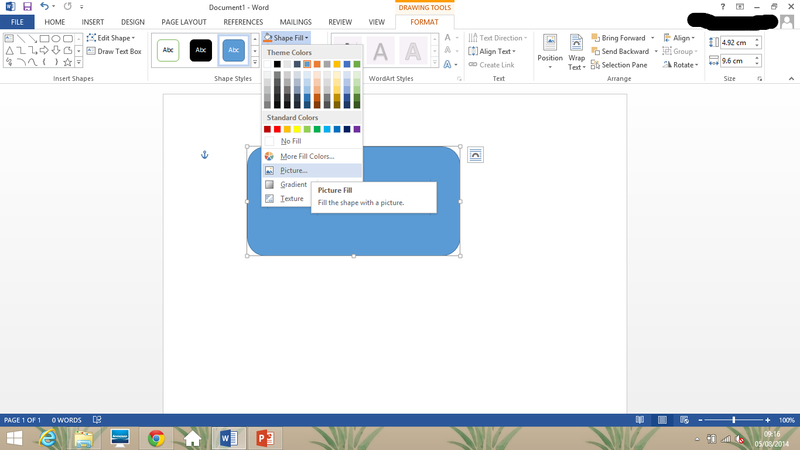 TOP TIP: Drag the text box out the edge of the white shape then align it in the centre. This way you know it will be EXACTLY in the centre of the white shape! And there you have it! Personalised labels! You could print them out on sticker paper or just print on normal paper and glue on to your notebook/binder/folder/llama. Ok, maybe not llama. Or you could keep it on your computer and use it as your Twitter icon or something snazzy like that. Anyways, I hope you’ve enjoyed this post and remember to come back soon for my new post! TOP TIP: Group all the shapes together to make it easier to move them about. Just simply hold down the left click on your mouse and drag over the shapes, right-click and there should be an option to group! Are you going to try this out? Do you know any other ways to accessorise your school supplies? Let me know in the comments!